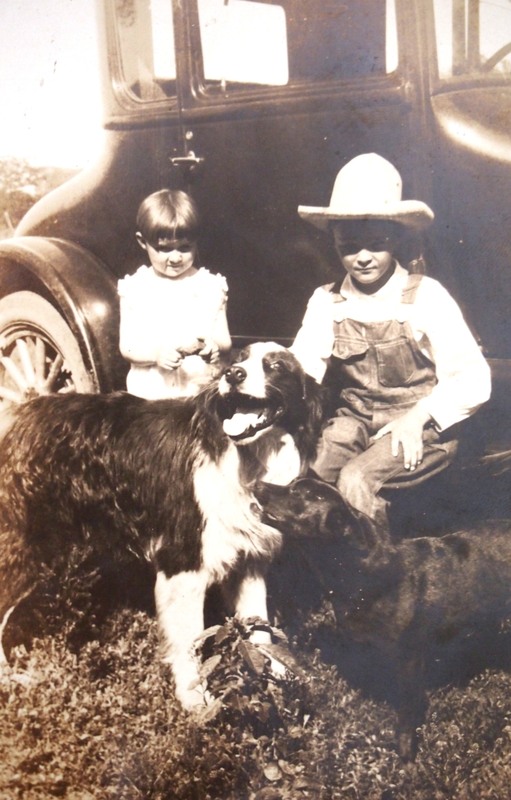 Lester and a young cousin with the farm dogs. I have just returned from church so will try to get a letter off to you before chow. We have church at 8:30 here & it isn’t compulsory as it was at Great Lakes. Today was my first time up here as I was in the hospital the other two Sundays. It is getting colder & the wind is quite sharp but the sun is shining so it isn’t too cold. We have had some snow but it has been above freezing most of the time so there isn’t much snow on the ground. We have had pretty nice weather so far. Hope it continues. We didn’t get liberty this weekend as we were supposed to because someone has measles or scarlet fever. That means I won’t get liberty for two more weeks as only half of us get liberty each week. Guess they must want to help us save our money. About one more month & I should be getting my $36 per month instead of $21. Yesterday was inspection day but that is about all we did except hear a lecture on firearms & march around the station for an hour. We have a little more time here than at Great Lakes but not too much at that. I went to the show last night “All Through the Night”. It was a propanganda film showing the Nazis work in the U.S. Our shows aren’t all like that. We have the same shows here as at home. I haven’t been out on liberty yet & we do the same thing every day so there isn’t much to tell you. I wrote to Myron this morning. Maybe he will get it by the 4th of July. I should answer a letter from Frances today if I can.